MOMENTS after they drank coffee together, truck driver Steven Corcoran watched his mate and colleague David Barrett die on the Bruce Hwy. Since the horrific crash near Ilbilbie in early 2012, Mr Corcoran has struggled to cope. Diagnosed with post traumatic stress disorder and anxiety, Mr Corcoran no longer drives trucks for a living. But that doesn't mean he hasn't been busy. 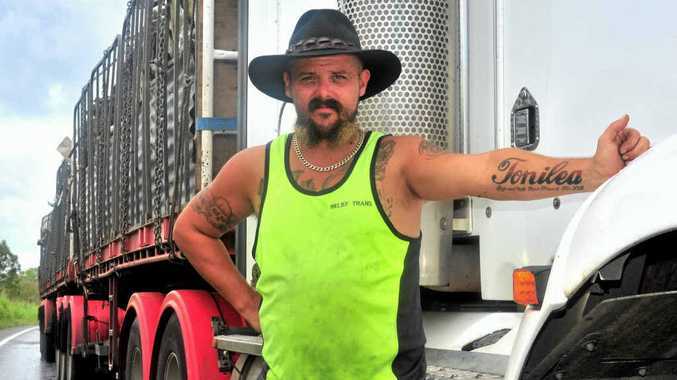 Spurred on by the death of his friend, Mr Corcoran has spent the past seven months asking fellow truckies to sign a petition calling on the Federal Government to introduce a danger money allowance into the truck driver award agreement. "I started my petition on the 28th of June because of what happened to (David)," he said. "Physically in the accident, it affected me. I couldn't just let it continue without trying to do something." Mr Corcoran is asking for a danger money allowance of $100 a day for all Australian truck drivers - an amount he says those involved in the most dangerous industry in the country deserve. Mr Corcoran has travelled more than 20,000km in his quest to gain support. His petition has already received about 3500 signatures and he expects to receive many more, with 14 days remaining before he presents it to his local Federal MP, Bert Van Manen. It is Mr Corcoran's hope Mr Van Manen will then take the petition to parliament. "It's a petition to recognise the deaths in the transport industry, and recognise the impact of the highest (industry) death rate in Australia. "An average of 250 truck drivers are killed nationwide each year. Truck drivers make up 2.5% of the population but we make up one in three workplace deaths. Since David's death, two more close friends of his have died on the nation's roads. 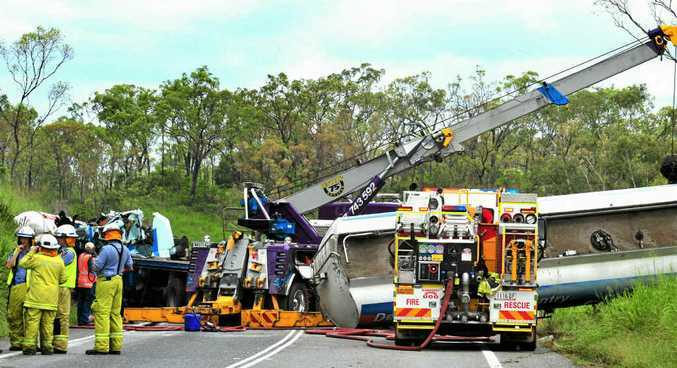 Mr Corcoran said many truck drivers developed a strong bond with their colleagues. "We see each other all the time," he said. "Quite often we'll have dinner together, travel together and help each other. On the radio - you get to know the boys."